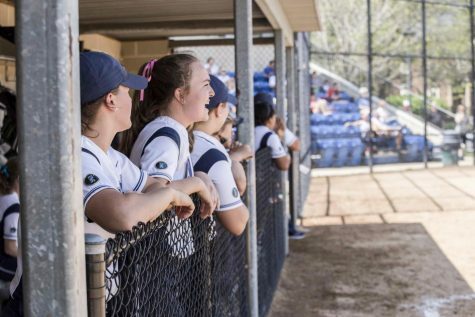 Behind strong pitching and even stronger hitting the Spartans’ softball team won two games a piece against Emory & Henry College (E&H) and host Marietta College on Feb. 27 and 28. Case Western Reserve University (5-3) took the first game 2-1 in eight innings and the fourth game 7-2, both against Marietta (2-2). A 16-8 victory and another 7-2 win, both over E&H (2-6), were sandwiched between the Marietta victories. 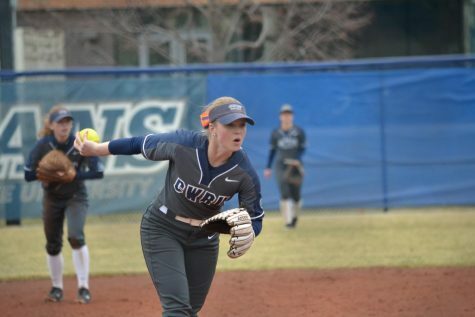 In game one, third-year starting pitcher Anne Wennerberg pitched all eight innings, giving up one run on five hits and striking out ten. The game was scoreless until the bottom of the sixth when the Spartans pushed a run across when second-year center fielder Katie Wede scored on an error. The lead was short-lived, however, as the Pioneers started the next inning with a double, a walk and a single tying the game and putting the go-ahead run in scoring position. Wennerberg retired the next three batters, holding the tie. 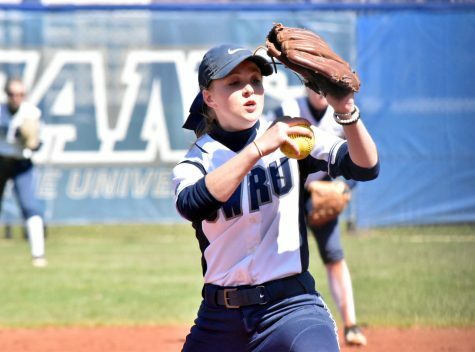 After a tough luck double play forced extras, CWRU won in the bottom of the eighth when second-year second baseman Lindsey Robinson singled in the winning run. The Spartans’ bats awoke in game two as they doubled up Wasps in five innings. 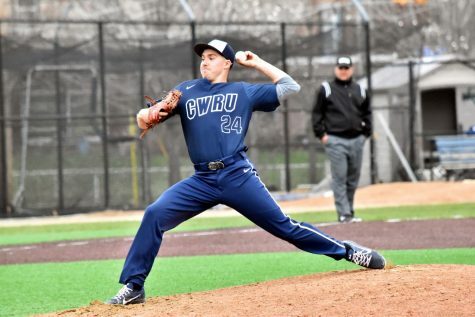 The outcome wasn’t always certain for CWRU, though, as E&M scored four runs on only one hit following a three run Spartan first. After giving up two more in the second inning, the Spartans scored four times to take a one run lead. E&M tied the game after a wild pitch in the next inning, though CWRU scored four again in the next inning to take the lead for good. Second-year third baseman Grace Tritchler hit a three run home run in that inning, her second of the year. The Spartans added five insurance runs in the fifth to really put the game away. Tritchler finished the game with six RBIs and fourth-year catcher Meghann McMahon added three more, while also going four for four. The next day the Spartans and Wasps faced off again, and the result wasn’t too different. After giving up two runs in the first, Wennerberg shut down E&M for the rest of the game, striking out eight Wasps over seven innings. 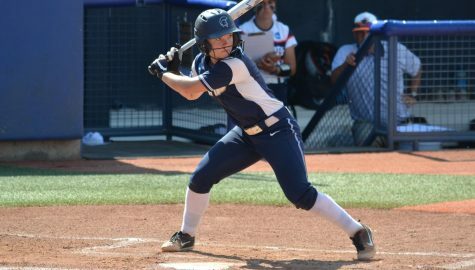 In the fourth, first-year infielder Alex Favazza hit her first collegiate grand slam, as CWRU pulled away. The Spartans found themselves playing from behind again as Marietta scored two in the bottom of the third inning of game four. They stranded the bases loaded, limiting their lead. The Spartans’ bats finally broke through with five runs in the fifth. 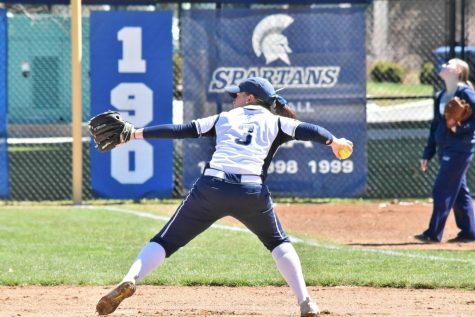 McMahon doubled home a run, Robinson singled home another and fourth-year right fielder Kristen Klemmer doubled home two more, giving the Spartans the quick lead. They scored two more in the sixth to put the game away for good. The Spartans look to increase their five game winning streak this coming Saturday as they travel to Clermont, FL to take on Wheaton College and Bethany College.